Top-law-schools.com would like to thank Robert H. Jerry, II, Dean & Levin Mabie and Levin Professor of Law for answering questions regarding The University of Florida Levin College of Law. 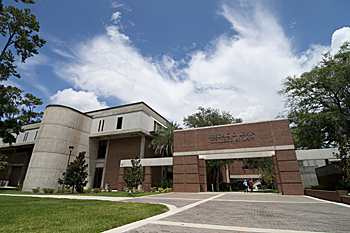 TLS: How would you describe the ideal candidate for The University of Florida School of Law? Specifically, could you discuss the different qualities you’d look for in different types of applicant: fresh-from-college; “non-traditional” applicants with lots of work experience; graduate students? 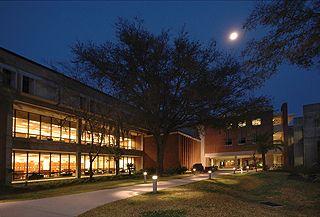 The Levin College of Law at the University of Florida seeks students who collectively offer a wide range of backgrounds, experiences, interests and perspectives. We believe that being a part of a broadly diverse student body in law school best prepares our graduates to provide outstanding service in many different public and private capacities. Through our admissions process, we seek to admit and enroll students who will excel academically, attain the highest standards of professional excellence and integrity, and bring vision, creativity and commitment to the legal profession. Work experience, leadership, community service, overcoming prior disadvantages, or commitment to serve those for whom legal services have been unavailable or difficult to obtain may show that an applicant is in a unique position to add diversity to the law school community or to make significant contributions to the practice of law. TLS: State Universities differ greatly in their classification of “in-state” verses “out-of-state” students. How does UF determine residency under the latest guidelines? Generally speaking, Florida resident for tuition purposes is a person who has, or a dependent person whose parent or legal guardian has, established and maintained legal residency in Florida for at least twelve months. But there are some additional requirements for a student to be classified as an in-state resident for tuition purposes. The key point is that simply living in or attending school in Florida does not, in and of itself, establish legal residence for tuition purposes. Instead, residence in Florida must be a bona fide domicile, which is more than merely maintaining residence while attending the university. This determination is based on a variety of factors which are evaluated by the University of Florida Office of the Registrar after a student submits information to that office. TLS: About 80 percent of your incoming students each year are Florida residents. Is there a push to recruit more top out-of-state students? If so, how is UF looking to accomplish this goal? As a national law school, with a tradition of academic excellence that has produced many leaders for the state of Florida, the nation, and the global legal community, the Levin College of Law continues to seek to enroll outstanding students from throughout the country. That a high percentage of incoming students are Florida residents is a reflection of our applicant pool and a recognition of the extraordinary value we offer our state residents in particular. TLS: What kinds of advantages (if any) do Florida residents enjoy in the admissions process? Residency is one of many factors our Admissions Committee may consider in its review process, but the admissions standards are the same for all applicants regardless of residency. In recent years, it has not been any more or less difficult for residents to obtain admission relative to non-residents. TLS: Let’s talk a bit about financial aid: how affordable is UF Law for out-of-state students? We are a terrific value for any student, in- or out-of-state. Our tuition for out-of-state students is considerably lower than that of law schools of similar quality. Out-of-state residents may also apply for merit scholarships and need-based grants, which can further defray the cost of coming to Florida from another state. TLS: You’ve discussed here the flaws, as you see them, in The U.S. News and World Report Rankings. And yet you correctly note that ignoring the rankings can only be problematic for a law school. In addition to decreasing the size of the law school, what plans (if any) are in place to attempt to move UF up in the rankings in the next few years? All excellent institutions continuously evaluate their programs and services and work to enhance and improve them. We review our curriculum to make sure our academic program best prepares students for today’s legal environment, and we are taking steps to improve our faculty/student ratio and the resources available for student support and services. And we have been working very hard, considering today’s economic environment, with our Center for Career Development to help our graduates find productive employment. We seek to expand our resource base, both public and private, to make investments that will improve the quality of the academic program still further. We do these things not for the sake of any ranking, but because we are a better school for doing so. If we make good choices in improving our academic program, the rankings will eventually follow. TLS: Naturally, there are always going to be comparisons between schools in a particular state. How does UF compare with its main competitor institutions: Florida State and Miami? Why should a promising law applicant in Florida choose UF? 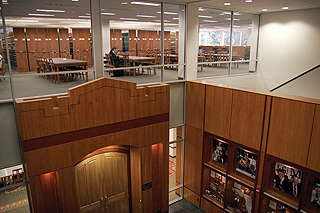 The Princeton Review just released its "Best 172 Law Schools: 2010 Edition." Their opening paragraph on our school reads the “University of Florida Levin College of Law is ‘top dog in Florida,’ where a vast majority of in-state residents leads to an ‘amazing’ alumni network; plus, the school is a downright bargain for Florida residents.” I believe we have long been the state’s premier law school, and an obvious first choice for Florida applicants. TLS: For its 2009 entering class, The University of Miami Law School offered a deferral to 2010 in exchange for possible scholarship money and loan repayment assistance post-graduation (according to UM, too many accepted applicants had agreed to attend). What was your initial reaction to this news? Sympathy for their new dean, who had just arrived. We had a plan here to reduce the size of our entering class, and I was pleased that our controls caused our entering class to land, in terms of size, almost exactly on target. TLS: What’s the quality of life like for UF Law students in the Gainesville area, one of the most exciting college towns in America? Are students able to find affordable housing? What are most students doing outside of class? Gainesville consistently ranks as one of the best values and best places to live in the nation, thanks to a dynamic art community, lush natural environment, and the benefits of being the home-town of a major university. The city was named as “Where to Live Next” by Smithsonian magazine, as one of National Geographic’s “50 Best Places to Live and Play,” and one of the “Top 20 Best Places to Live and Retire” by Black Enterprise magazine. Housing is both plentiful and very affordable. Student activities outside of class are as diverse as student interests. Our area boasts the largest collection of crystal clean springs in the world and sandy beaches on both coasts are less than two hours away. Nearly 65 percent of the county is dotted with scenic lakes, wetlands and trails, which gives our students numerous opportunities for cycling, canoeing, hiking, golf, camping, bird-watching and fishing – and, of course, alligator watching. They’re safe if you keep a reasonable distance. Gainesville also offers an active club and music scene, festivals, performing arts programs, and national caliber theatres and museums. TLS: UF offers a number different joint degree programs. What percentage of your students are taking advantage of these programs? What kind of jobs are your joint degree recipients generally pursuing? We currently have 39 students participating in joint degree programs out of 1,096 J.D. students, which equates to 3.5% of all students. While our Center for Career Development does not specifically track students who graduate with a joint degree, we do know, anecdotally, that we have had law graduates who also earned a Masters in Finance who gained employment in investment banking and on Wall Street, for example, or a J.D. with Masters in Science who went into patent law. TLS: How successful are your students at attaining competitive clerkships at both the state and federal level? What resources does UF make available to its students to assist in the clerkship process? UF Law leads in Florida in the total number of judicial clerkships attained upon graduation as well as for the number of Article III judicial clerkships. We offer a number of career programs each year focused on the judicial clerkship process, ranging from bringing in a panel of judges to discuss the differences between state court cases and federal magistrate, district court and appellate court case loads, to a program with a panels of judicial law clerks who share their perspectives, to nuts and bolts application process programs. Our Center for Career Development serves as a central repository for letters of recommendations, counsels students about the judicial clerkship path and helps student and alumni applicants prepare their clerkship applications. TLS: What effect has the recent economic downturn had on job prospects for graduates? Have firms changed their visitation and hiring patterns at UF Law? While we continue to host one of the largest On-Campus Interview (OCI) Programs in the Southeast, we have suffered along with the rest of the country in the impact of the downturn on employment prospects. Jobs are harder to find, and firms have cut back considerably in their visitation and hiring patterns. We are being very aggressive in our efforts to counter this, and we anticipate an uptick in the spring recruiting program as legal employers have more time to assess their needs. TLS: 76 percent of your graduates remain in Florida after graduation to practice. What does the legal market in Florida look like for the immediate future? The Florida legal market varies by segment. Historically, Florida was a national leader in the number of recent graduates beginning their career in state government, and this accounted for 25-30% of entry-level positions for UF Law graduates in past years. Since the state has been in a hiring freeze for more than a year, that market has dramatically dropped off. In the law firm segment, the level of hiring in the large firms is down, in part because of fewer openings and also because of more competition from students from other parts of the country expanding their searches beyond their traditional geographic areas. However, Florida is home to a higher number of strong medium-sized firms that have not experienced massive layoffs like those witnessed in the northeast, for example. These entry-level positions in medium to smaller-sized firms are still available to persevering students. Right now, it’s a difficult market, but it’s not an impossible market. TLS: Are there regional differences in the hiring of UF grads within the state? In other words: where in Florida do UF Law graduates tend to practice? If an applicant is looking to practice law in, say, Miami, would he/she encounter a host of UMiami Law graduates also looking for employment? There is tremendous value placed on a UF law degree within the state, and we certainly benefit from our strong and loyal alumni base. Strong areas for UF Law graduates beginning their careers include Jacksonville, Orlando, Tampa, and throughout south Florida. TLS: Talk, if you could, about the journal opportunities available to UF students. What percentage of each class gets involved with one of your 5 journals? We don’t have formal records for all our journals, so I can’t give you a number. But the Florida Law Review receives first year student names for the top five percent in each first year section, and the Journal of Law and Public Policy, Journal of Technology Law and Policy, and Florida Journal of International Law each receive the top ten percent of students in the first year class (not each section). TLS: How do UF Law students spend their summers? Do they typically take positions in Florida, or are they finding summer jobs with employers outside of the region? What’s the breakdown of private sector summer employers vs. public sector summer employers? Although we don’t keep statistics on how students spend their summers, we do strongly encourage them to gain experience. Our externship and summer abroad programs are popular choices, and many students work as summer associates in firms or participate in volunteer internships within all levels of government or with legal service providers. Others take classes and work part-time in firms as law clerks. TLS: Finally, we’ll ask: Why UF Law? There are many reasons. I believe we offer the best educational value in the country, combining low tuition with an outstanding academic experience. Our graduates become very special members of the “Gator Nation,” the University of Florida’s large, loyal and powerful alumni network. 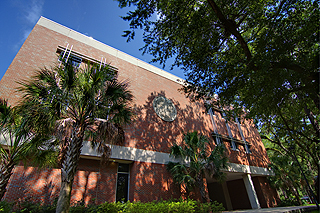 Many of UF Law’s 18,000-plus alumni serve in leadership positions, and include the current president-elect and four previous presidents of the American Bar Association, more than any other college since 1973, the majority of The Florida Bar presidents, four governors of Florida, and hundreds of state senators and representatives and Florida Cabinet members. 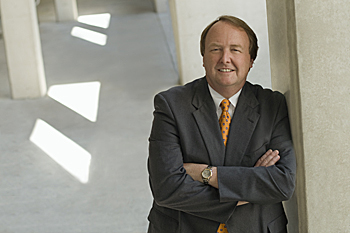 Nine became university presidents, including at UF. A dozen have served as deans of law schools. We are ranked fourth among public law schools (eighth overall) in the number of graduates serving as federal district and circuit court judges. We are Florida’s most prestigious law school, with a 100-year legacy of leadership and public service. We are an integral part of the University of Florida; a leading land-grant university that also happens to offer what many believe are some of the country’s most exciting athletic programs. With Gainesville’s attributes as an active and engaging college town – not to mention the great weather, we have a wonderful location where students can create enduring relationships and build some great memories as they earn their degrees.